One of the truly elegant cars manufactured over the last 70 years, Jaguar has made quite an impression on luxury car owners. 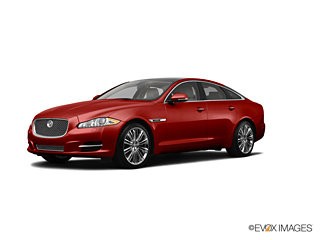 Favored by car enthusiasts, and collectors the need for Jaguar used auto parts is certain. AutoPartSearch.com makes finding top-quality recycled auto parts easy and affordable. We have a fine selection of salvage auto parts for Jaguar X-Type, S-Type, XJ-6, XJ-8, XJ-12, XJ-L, XJ-R, XJ-S, XK, XKR, XKS and XF to purchase online. Keeping your Jaguar true to the original can boost its collection value and original used car parts can be a valuable choice when you want to hang on to an incredible car. Just because you purchased the car at luxury prices doesn’t mean you have to pay luxury costs when making replacements. Salvaged Jaguar parts can be just the right option for keeping your Jaguar elegant without sacrificing dollars on pricey parts. If you are in the market for Original Equipment Manufacturer Parts you can also find them on our site. Keep in mind some parts are no longer available for the older model Jaguar. OEM parts are great for those wanting to increase the value of their car for resale or have lease agreements requiring repairs be made only with OEM parts. Another option for the those wishing for new parts are Aftermarket auto parts that allow for custom building or modifying your Jaguar. One really great plus to using an aftermarket part is they may have an update applied making them a better version than the original. One thing to be aware of is part fit may vary and you may want to contact our customer support team for details or questions about aftermarket parts. When you purchase used car parts from auto salvage yards you help to prevent more waste and pollution in our environment. Each and every part you reuse keeps one less from clogging landfills and oceans. The energy used from producing steel will then be conserved for generations to come. AutoPartSearch.com highly advocates recycling auto parts to keep our planet clean.